Home FM Blog WCC Gets It Wrong This Time!! 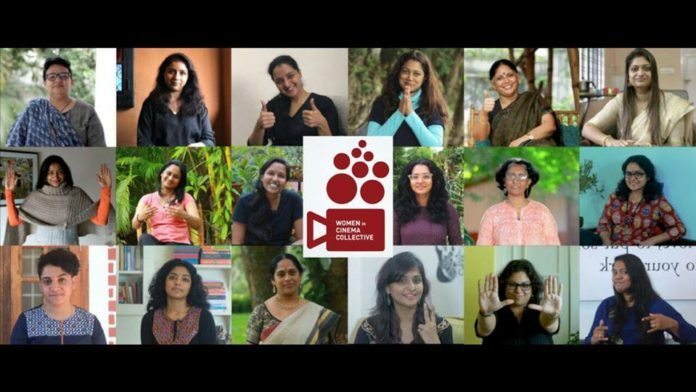 Women in Cinema Collective aka WCC – Deserves the Limelight for being so stupid? ONE YEAR AGO THE GROUP WAS COMMENCED WITH A GOOD INITIATIVE – Said by the so-called Group who tardily turns into a statewide comedy clumps.The so-called WCC was forged in order to look after the women who were impaired with inequality in the society.Indeed that was excellent move but at the end of the day they fizzled and tend to create issues unnecessarily. When Ramleela was released they ordered ” No one should watch the movie to show our demonstration against the lead actor who acted in the movie.When movies like Mayanadhi and My story impaired similar issue they just took a U-turn and beseeched that ” Please don’t kill movies on the basis of personal grudges.This is what you call Double Standards. It all embarked when Parvathy reprobated Mammootty for acting in a movie where she thinks KASABA is all about disparaging Women with several misogynistic dialogues.The stage became detrimental and created headlines.Parvathy once again towered the issue and created the spurt unnecessarily.The sudden spurt should have been kept aside but in lieu of this feminists is making a mockery out of the issue. Recently they shared a blog where the blog was all about scathing Mammootty.The headline of the blog was indubitably an insult to the legendary actor.The stardom of Mammootty was enough for the group to dethrone the post within quick time.The instant rating of WCC’s Fb page is around 1.5. This shows the stupidity and what nonsense the so-called page has created in Social media for the last couple of days.The so-called arrogant group is still perduring and Sharing rave opinions about Mammootty and the entire state is paying back irrespective of any discrepancies. One of Mollywood’s best actress has already started to bid adieu to the group.Parvathy has already used sarcastic comments against Manju over this issue.Like everyone said- This group of feminist is all about inferiority complex and professional ego.Insulting an actor without any solid reason is merely utter nonsense.Padmasree Dr. Mammootty is an actor who is respected countrywide.Wcc – You were in your nappies when this man became a superstar!!! Credits: Article written by Nikhil George. Next articleSuperStar’ s Cameo in Kochunni :Mohanlal or Surya?